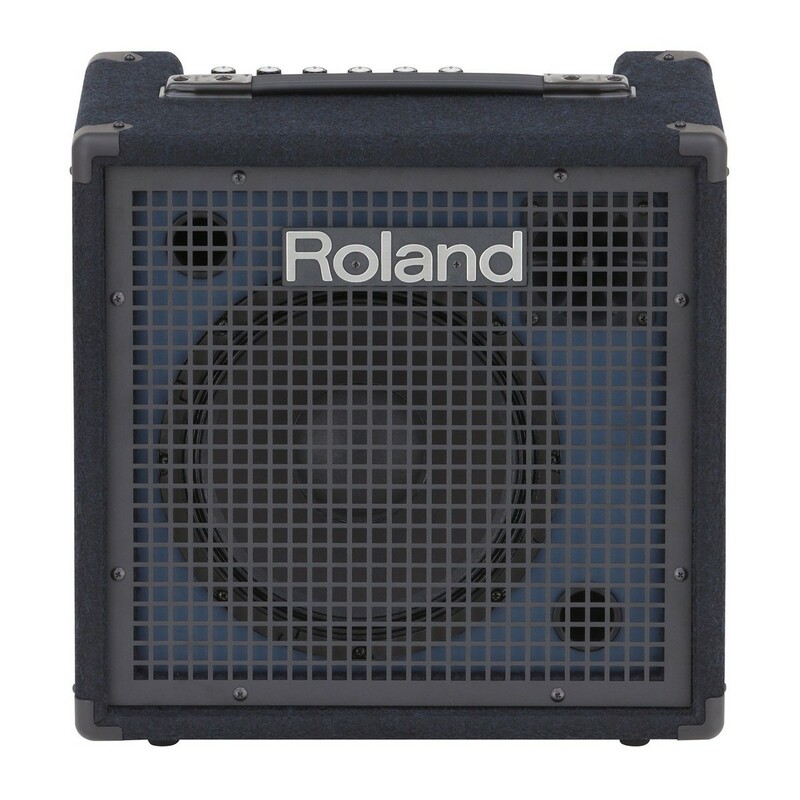 The Roland KC-80 Keyboard Amplifier features a durable design for use on the road. The KC-80 has a 10-inch woofer and additional tweeter that projects your performance with dynamic sound range. The inputs offer connectivity for three line channels, as well as an XLR for use with vocal microphones. 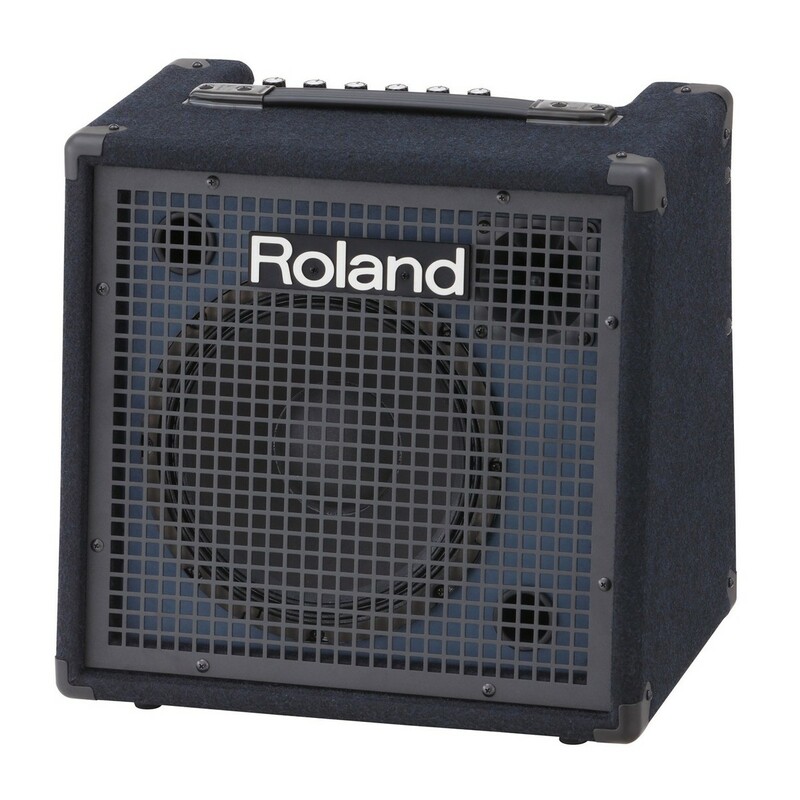 This model's enhanced power amp achieves the optimum balance in bass reproduction. The KC-80's controls have the necessary EQ and level controls to quickly achieve an appropriate sound for a range of live settings. The KC-80 benefits from a heavy duty frame to keep it protected whilst travelling. 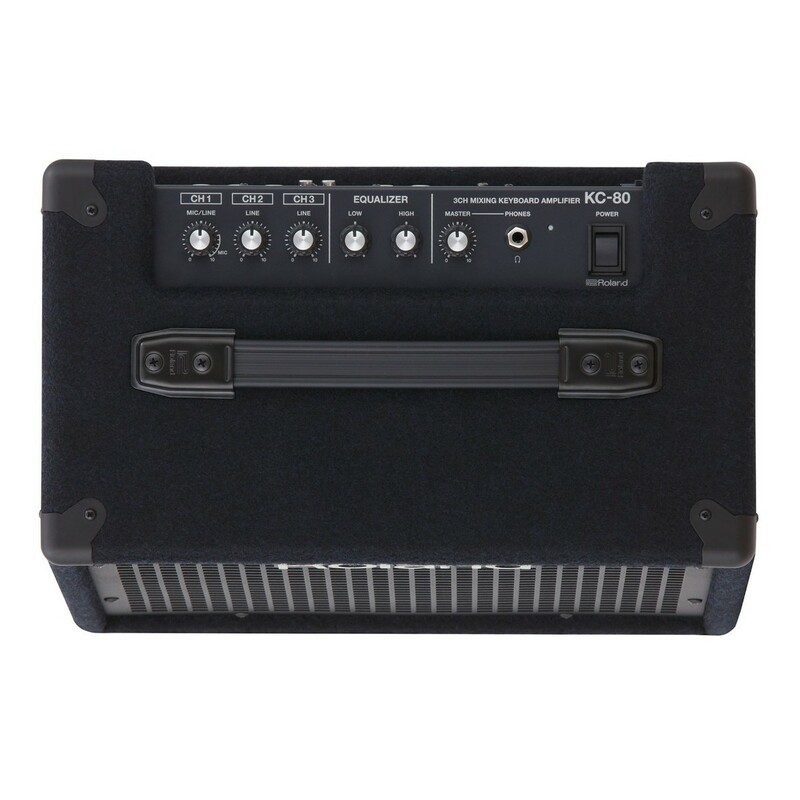 The KC series of amplifiers are designed to be suitable for any playing environment. The rugged frames and heavy duty speaker grills keep the speaker protected from impact when on the road. The KC amplifiers’ large range of ports allow you to connect your keyboard, microphone and phone. The loud volume outputs can reach comfortable gigging volume, whilst each model’s EQ settings let you tweak to your preference. 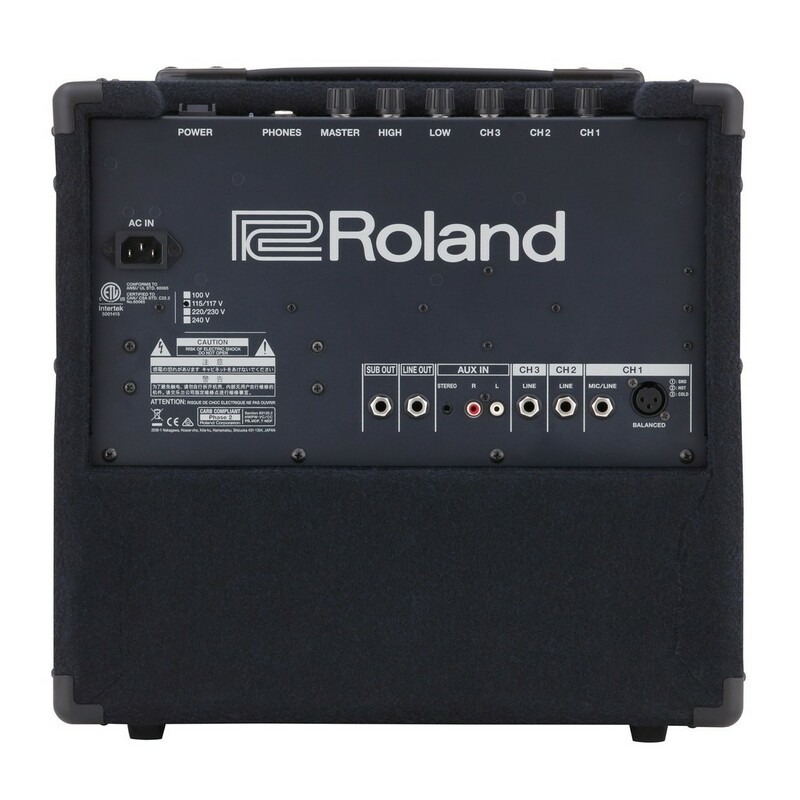 This series has become the industry standard for musicians who need a reliable amplifier for any venue. All KC amplifiers are built to be taken on the road. The outer frame is made of a thick, heavy duty material that can withstand bumps in transit. The drivers are protected using a thick, steel grill. This series’ controls are specifically designed to offer quick solutions to your live sound. The master volume control keeps your overall level appropriately compressed, whilst the individual level volumes allow you to balance each input yourself. No matter what venue, you can achieve the correct frequency balance by using the on-board equaliser. For over 20 years gigging musicians have trusted the KC series.